With the exception of 13, 18, 21 and your social security eligibility age, we tend to mark our age milestones on the decade. As I write this I am on the eve of my age turning to the last year of my current decade and I think this is actually the time to stop, take inventory, reflect back and look ahead. After all next year when I reach the half-century mark it will be a celebration of reaching that next decade and on to the new adventures the fifties will bring. As I look back I can honestly say the forties have by far been the best decade. My friends who are already in their fifties assure me this trend of each decade getting better continues so I’m optimistic about what might be ahead. The forties have been liberating. I became comfortable in my own skin. I can say I have been happy, or perhaps content is the better word for the majority of the past 9 years. I have suffered loss and disappointments like most people, but I feel that my resilience has expanded and my reactions are more measured and balanced. This is life after all, far from perfect. Life is messy and unpredictable, but if you are comfortable with who you are and lay your foundation on faith, integrity, and love, then you can be the eye of any storm that life swirls up around you. Yes, the forties have truly been fabulous. I still have lots of things on my bucket list, but if it all ended tomorrow, I am content with what I have already accomplished. I have a goal to live to be one-hundred and eight, so assuming I reach that, I should have plenty of time to continue to check things off my list. The fifties will be eventful, I will retire from teaching and move my writing career up to the number one spot, my mortgage will be paid off and there are events coming I’m not even aware of. I look forward to it all. Each day of this life is a gift. I am thankful for the 17,885 days I have lived so far. I look forward to all the days yet to come. Each day of this life is a gift. I am thankful for the 17,885 days I have lived so far. I know the next 365 will finish out my current decade, I look forward to all that is yet to come. The Southeastern Independent Booksellers Association in Savannah, September 2016. Bublish featured my book and I met booksellers by offering them the Southern Living Cheddar-Pecan-Cranberry biscuits out of a sweetgrass basket. Wearing pearls of course! I was given a great opportunity this weekend to participate in the SIBA (Southeastern Independent Booksellers Association conference. It was set in Savannah, the sister city of Charleston, an easy two hour and fifteen-minute drive. I have been working with Bublish as an author to learn about the industry as well as utilize their fantastic tools to build my author platform and share content across social media. Now they are also my distributor. Bublish had a table at the conference and featured multiple authors and titles. With southern booksellers the target audience, it was a natural fit for a southern women’s fiction author to introduce herself. So I baked the cheddar-pecan-cranberry biscuits I make every year as gifts for loved ones at Christmas. It is a Southern Living recipe and much loved by anyone who has ever eaten any. I found cocktail napkins that coordinated with the colors in my book cover and I packed up my lowcountry sweetgrass basket with a monogrammed linen tea towel. I even polished a silver mint julep cup to place my cards in. I ironed my bright Escapada dress and set it out with my monogrammed Stella and Dot necklace along with my long strand of pearls. I set the alarm and crawled into bed. Leaving the neighborhood I felt like I was the only one up and about so early on a Saturday morning. As I made my way south of Charleston, the sky lightened to reveal a swirling misty fog. I had a momentary flight of fancy, imagining I was crossing through a magical rift between the realm of reality into the realm of a fairyland for authors. It had been several years since I had ventured down Highway 17 south to Savannah and I had forgotten how beautiful the vistas across the ACE Basin were. Driving through Jacksonboro I was sad to see the Old Edisto Motel is still vacant and reminisced of driving out there during Shad Roe season with my friend Robin to eat the best hush puppies I have ever had. (Seewee Restaurant in Awendaw makes hush puppies that can rival). As I arrived in Savannah, I was once again enamored of this city with its squares and tree-lined streets. I was nervous but excited to participate in my first trade show as an author. What a fabulous experience! The biscuits were a hit and gave me a great way to talk a bit about my character Lizzie and her fictional business, The Biscuit Box. I met booksellers from multiple states as well as folks from our own Charleston paper, The Post and Courier and a reporter from Publisher’s Weekly. I also met fellow authors and one who is also a radio host. She offered to do a radio interview with me , so that will be another first I will share with you hopefully soon! I left with The Eyes Have It having a lot of potential new outlets to reach readers. I also was given many free books from other authors and a slew of contacts. This girl was exhausted and exhilarated. If I was going to give myself a tip, it would be to have someone go with me, mainly to drive home. The drive home was filled with bright sunshine, electric blue skies, and puffy white clouds. The mystical, mythical world of author meeting booksellers was now part of reality. This southern girl is blessed to see her dreams coming true! Yes, after practicing on an envelope, I practiced on my proof copy. I am a south paw, so penmanship has always been a challenge for me. Add in the fact I have spent the last twenty-three years teaching Kindergarten and First Grade, in other words printing on a daily basis, I have some nerves about signing books. I recently had a conversation with an older student I tutor about using the phrase, Let me put my John Hancock on that or Do you need my John Hancock. She had just finished studying the American Revolution and knew he was a signer of the Declaration of Independence. Imagine the nerves those men must have felt signing their names. How marvelous that John Hancock’s name has become synonymous with signature. I hadn’t thought too much about it until my book came out in print and I had multiple people asking if I would sign them. Then it occurred to me, what will I write, beside my name? My name by itself seemed to0 bland. Another decision to make. Then I wondered what kind of pen to use. I almost emailed an author I know, but was embarrassed to ask such a question, so I stood for a while in the pen aisle of a big box store. I narrowed down to fine tip. Then I found one that promised no bleed through. My friend Sally recommended a smear test, so as we sat at a bar during a friend’s fortieth birthday celebration, I wrote on an envelope and immediately ran my finger across, good news no smear! Pen selected. I tried out several messages, like Happy Reading! 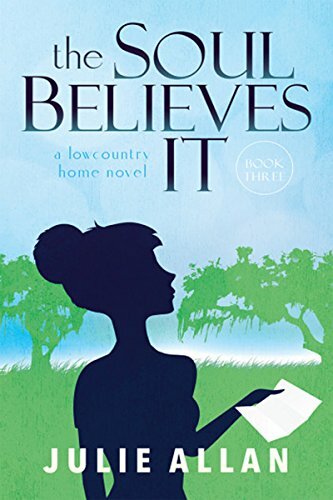 Lowcountry dreams, but I decided to incorporate my LLC name, since it will tie into my author brand and go with all the books I plan to publish in the foreseeable future. So Wishing you Palmettos & Pearls it is. I had the thrill of signing a copy that my friend Dodie purchased and then brought to me to sign. She will always be part of the memory of my first autograph. My first public signing will be on May 24th, so I have some time to practice writing all that in cursive. I anticipate at some point book signing will become second nature for me, but for now it a thrilling, new part of my author life. I had the thrill this weekend of holding the print proof of my first novel The Eyes Have It in my hands for the first time. It was very timely with Mother’s Day weekend. I even had the audacity to place it on the bookcase shelf I reserve for my “keeper” books. Those are books that I loved so much I want to read again or that I have an emotional connection to. There are just some books you don’t want to pass on. So I was thinking about how I am like the mother of this book. I conceived the characters and the plot. I incubated it and nurtured it to grow into a full-fledged story. I struggled through it’s growing pains of editing and formatting. Now I am the proud mama watching as it leaves the nest and faces the big wide world, wanting so much for it to succeed and be loved. Much like parents of human children, I did not do this alone. Instead of pediatricians, other parents, educators and the community. I had mentors, family, friends and a group of professionals to guide me and collaborate with. Much like a first time parent, I have high hopes I will be even better with the second one. So on this Mother’s Day weekend 2016, I want to take a moment to just bask in the sunshine of this achievement. I am also thrilled my mother Mary has been with me every step of the way on this journey, her love has shaped me. I love you mama! It seemed to happen in an instant. Monday night I went to bed a writer aspiring to be an author. Tuesday I woke up as a published author. It was thrilling, surreal and I am sure one of the top ten moments of my life so far. This is a monumental milestone and a great moment to reflect on the journey. The truth of the matter as I have been headed for this moment since I attempted to write an antebellum drama in the fourth grade. I was drawn down different paths over the years and periodically dabbled in the writing, somehow always being drawn back. The journey became a serious trek about two almost three years ago. I have always been a long range planner, I like to know what things will be like not just a day or a week from now but a decade or so ahead. Now, I have learned the hard way, that plans change on a dime and paths get redirected, but I still like a long range framework to work from. So almost three years ago when I realized I was a decade away from ending my teaching career I began to fret. Did I need another degree to do what came next? What were my options. A good friend reminded me I loved to write. I did love to write, but could I be disciplined with it? Could I write things other people would want to read? How in the world did you get published? There were so many questions, but I was hooked. This journey is far from over. I have reached the first goal. This is not the end of the road, it is just a mile-marker on the rest of my life trip. Excited, awed, humbled, blessed, these are just some of the ways I feel at this juncture. I am in this for the long haul, but for a moment, I want to stop and breathe deep. I want to savor this moment. Even though it took an instant to make the change from writer to author, it has taken dedication and work to bring that instant about. Savor your accomplishments and enjoy your journey! It is hard to be pessimistic with the warm sunshine, the clear blue skies with puffy white clouds and mother nature adorning our gardens with flowering trees and daffodils. It is the season with lucky leprechauns and chocolate bunnies. It is the season of rebirth and fresh starts. I identify with the optimists. I like the idea that things can always improve. That around the next corner is something better. That when we falter, we can get back up again. This does not mean I don’t experience real pain and disappointment, oh I feel all emotions very deeply, it means I try to learn from them and grow. It also means I focus on the silver lining that is always present, even when it requires a deep search to find it. I have shared before that I made a conscious effort over a year ago to celebrate life and have gratitude for the daily blessings. Part of this is looking forward and embracing the challenges. It also means trying new things and taking risks, believing that it will all work out. Isn’t funny that somehow it always does, even if it might not be what you envisioned at the start? A little over a month from now, a dream I have pursued for the past several years will be realized, my first book will be available for public consumption. (More details coming in blog posts later this month.) I have a broad range of emotions. I am exhilarated by the prospect of seeing my book with a real cover and flipping through the pages. I am scared it won’t be well received, after all a bit of my soul is in every page. I am elated that I have reached this milestone in my journey. I am nervous I will drop something as I add another ball to juggle in my daily life. But my inner voice keeps telling me with clarity, it will all work out. So in this season, seemingly designed for the optimist, I find this new step well timed. I am not seeking fame or fortune, I just want to connect with readers. I want them to relate to my characters, laugh a little, maybe tear up a little and when they close the book, feel like they left behind a friend. Of course I want them to want to read my next novel, coming out late September-early October. What author wouldn’t want these things? Before the end of Spring I should have a good picture of how my first novel was received. I an sure I will learn a few things. I am sure I will be surprised by a few things. I am also sure that it will work out just fine. After all, what else can an optimist expect? 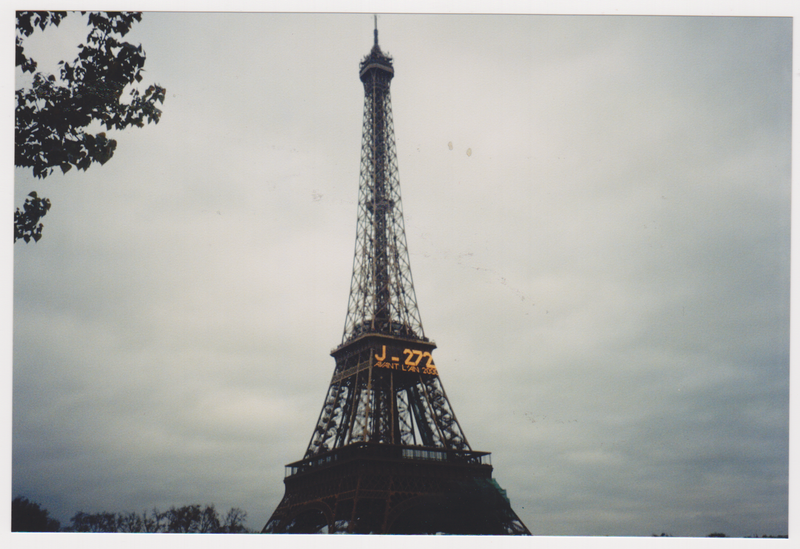 The Eiffel Tower April 1999 with the count down clock for the new millennium. In November of 1998, I turned 30. The following I wrote in 1999 after my first solo trip. At the time I tucked it away, and having re-read it I can see with some relief, my voice in my writing has stayed consistent and the quality of my writing has improved. I have retyped it here with some minor editing of some glaring (to me) word choices. I am choosing to share this in light of the terror attacks in Paris. Paris always has been and always will be a city of light for me. I ran the Paris Marathon and spent another lovely week there in April of 2004. The French and the people of the world will rise against the hatred that comes from cowardly terrorists with love and light. We will stand for Liberté, égalité, fraternité. Turning thirty was anti-climatic and life altering at the same time. By now I should have expected that, since most things in my life are paradoxical, but that is another story. The night of my thirtieth birthday at a rather late hour, I finally sat down to dinner with my dad. My mom was in the hospital unexpectedly (they were supposed to be in Charleston with me celebrating my milestone) . Instead I had rushed to Virginia. I don’t know why, but for some reason on the rare occasions that dad and I spend time alone he has this need to impart pearls of wisdom. Perhaps since I am still single he feels responsible or maybe because I am an only child he puts his “would-haves” on me. Regardless, as we dug into our Moo Shoo Pork, he focused on how my energies seemed to concentrate on work and not enough on play. “Go somewhere” he urged, telling me about a young guy in his office who had gone to Spain for a long weekend. “Who knows, maybe I’ll go to Paris” I responded rather flippantly. In the weeks that followed the seeds for that conversation spread like passion flower vine in a lowcountry garden. I dreamed about it awake and asleep. So two months later tickets purchased and plans made, I called my dad to tell him a bout my week long adventure I had planned for the following April. I was somewhat surprised when his response was “You’re going alone? !” In fact that was the typical response I got usually followed by the comment, “How brave of you.” Undaunted I studied guide books, I brushed up on my lapsed French with tapes in the car and subjected my dog to one-sided French conversations. I watched movies and read books set in Paris. My stay in Paris was truly magical. April in Paris is so much more than a cliché. The cherry blossoms drifted down around Notre Dame like snowflakes. The tulips in the gardens were like brilliant jewels in green velvet boxes. The architecture and the shop windows were greater than expectation, to take it all in was sensory overload. My hotel was on the left bank and my window looked right out onto the Seine with a view of the Louvre on the other side. I walked everywhere, not wanting to miss a single lamppost or side street window box. My observation skills were in fine tune and I kept my journal on me at all times so I could pause and write my impressions in the moment. The museums were spectacular, I highly recommend the intermusee pass which lets you in all the major museums and monuments without having to wait in line. At the Musee de Orsay I was able to get in an hour before the general public, I had the top floor virtually to myself. I spent a day and a half in the Louvre, taking in vast treasures, more impressive than the oversold Mona Lisa and Winged Victory. I climbed to the top of the Arch de Triomphe, cruised the Seine, listened to Vivaldi’s Four Seasons in Saint Chapelle and enjoyed jazz at a swank left bank club. I enjoyed conversations with strangers and the food from the street to fine establishments was superb. Paris exceeded my expectations and gave me a gift, the gift of growth. When it came time to leave, I reluctantly boarded the plane, a week was simply not enough. 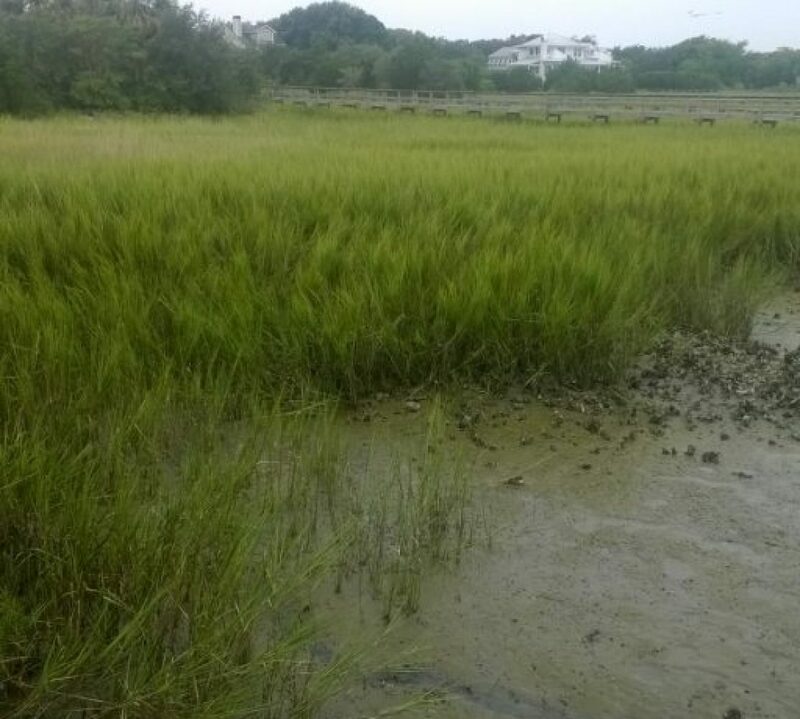 On return to my life in Charleston, I realized the trip had been more than a vacation, it was a life-altering event. I reconnected to myself, to my confident and independent self. I could travel alone and savor the experience. I awakened the spirit of adventure and creativity that I had some how lost in my twenties while trying to become who I thought I was supposed to be. I had found myself in Paris and I can hardly wait to plan my next trip! Re-typing this makes me so want to plan a trip somewhere! I was blessed to spend time in Paris again as well as Dublin and London since that trip and I have a bucket list of trips at the ready. One of the benefits of travel is your mind and heart open to the world. As a child we lived in Europe for a few years and I was traipsed through many countries, but that first adult trip, my solo trip to Paris will live in my heart, VIVE LA FRANCE! Can 365 days bring about significant change? I would say mere minutes can, just ask those whose lives have been forever altered by the too many to name mass tragedies that seem to be almost common place in our modern society. In our own lives some years are a watershed of change, while others seem to keep the status quo. Certain holidays or anniversaries of important events, societal or personal, cause us to reflect back on the year since the last marking of that date. I think this is a good practice, it reminds us how far we’ve come and provides us with an evaluation of sorts for moving forward. A friend was sharing with me the other day how amazed she was at how I had handled an ugly personal situation with grace and compassion towards the person whose actions were full of betrayal, hurt and caused chaos not just in my life but in the lives of others. She joked that I probably would have responded much differently a year earlier, after all I was “older” now. We laughed at the idea that one year older could bring about that much maturity, but on reflection I really do think this past year has been seminal in my personal growth and has brought a profound shift in my outlook on life. 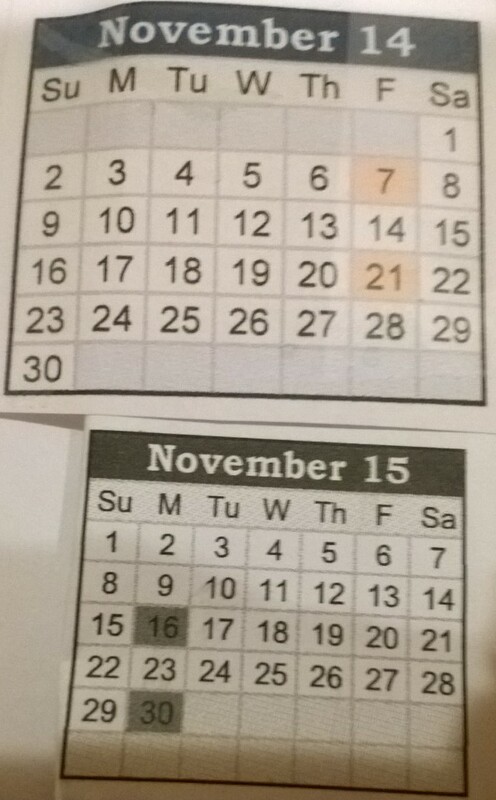 I was born in November so my personal new year is at hand. On the surface this past year has been full of some important developments in my professional life. I am still completely committed to my teaching career and have at least four to six more years I plan to dedicate to it, but I have also made a commitment to my writing career. I have been faithful to posting a weekly blog, I have completed two novels and submitted them to a publisher and I have been working on book three. I am no longer dabbling in writing I identify myself as writer. My writing life has gone from an exploration to a full commitment. It also feeds my soul. Last November I had experienced three of the five deaths that were pivotal to my examination of my life and how I wanted to live it. The fourth, last Spring and the fifth just a month ago solidified my commitment to living that renewed life. It is not that from November 2013 to November 2014 I did not have moments of joy or appreciation for my days and the people in them, its just that I was not as aware and attune to them on a daily basis. That year was a status quo year, and we all need years like that. After the first three deaths, one of a terminally ill older woman, who was a second mother to me for decades, one of a smart witty woman who I had the privilege to work for, she was cruelly taken early with the added insult of an aggressive dementia that took her long before she stopped breathing and the third to a young college freshman who as a high school senior had found a place in my heart, a truly remarkable young woman who had such great gifts, I was profoundly shaken. Life to one-hundred or one-hundred and eight, my personal goal, was tentative at best. Each day truly is a gift and life is what you make of it. I did not have the luxury of the status quo if I really wanted to build a better life. So I chose to make each day a day of gratitude this past year, some days that has been more challenging than others but what I have found was the more I worked at it, the easier it got. In tandem I worked on my spiritual life, in particular faith, that God has me and despite what goes on here on the temporal plane, there is a greater plan. That means regardless of what chaos is swirling around, I am insulated in a core of peace. If I am going to talk the talk then I must walk the walk, which means I must view my fellow human beings with compassion and love and each day that has become easier and easier. A year ago and prior I might have let chaos derail me, lash out in anger at others or judge them harshly. Now even though I feel hurt, I am also at peace knowing that I have done my best to love and care for others. Who am I to judge? I am as flawed and complex as those around me, that is part of being human. I choose to build up rather than tear down. I can say I am truly a happy and joy-filled soul. I still have the daily challenges of life like everyone else, but it is how I face them that has changed. So yes a year can truly make a difference and I would say it took way less than a year to make the adjustment. When I reflect back in November 2016 I hope I can say that not only did I continue to walk the walk, but that by being compassionate and loving towards my fellow beings I helped to make them happy and joy-filled souls as well. So a year older, a year wiser, a year kinder, that is the difference a year can make.